Shoulder labral tears are a complex and difficult type of injuries. Labral tears in the shoulder may be caused by an injury or a trauma to the shoulder, but sometimes they are just an unpleasant result of the aging process. What makes this shoulder injury troublesome is the fact that it is very hard to be diagnosed. Once it is properly diagnosed, it can be treated with a physical therapy or a shoulder surgery, depending on the complexity of the injury. Jonathan Guzman, a young sports enthusiast, had an appointment with Dr. Armin Tehrany several months ago because of an unbearable pain in his shoulder. 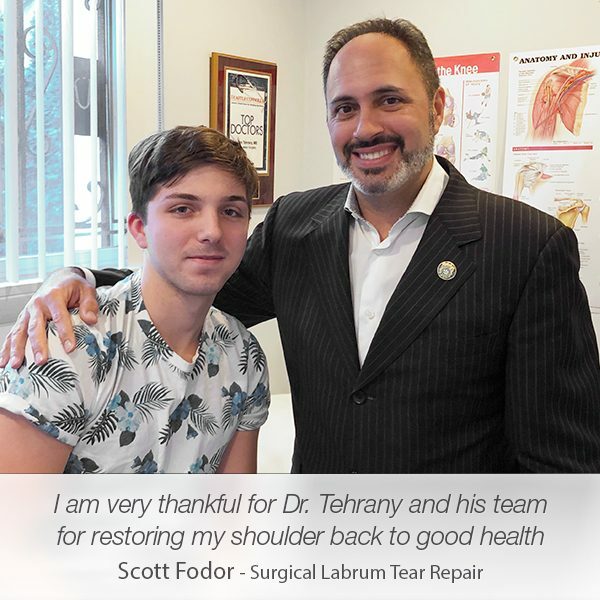 During the examination Dr. Tehrany, led by his knowledge and experience, diagnosed Jonathan with a full shoulder labral tear. His injury occurred because of the repetitive motions Jonathan performs while playing basketball. 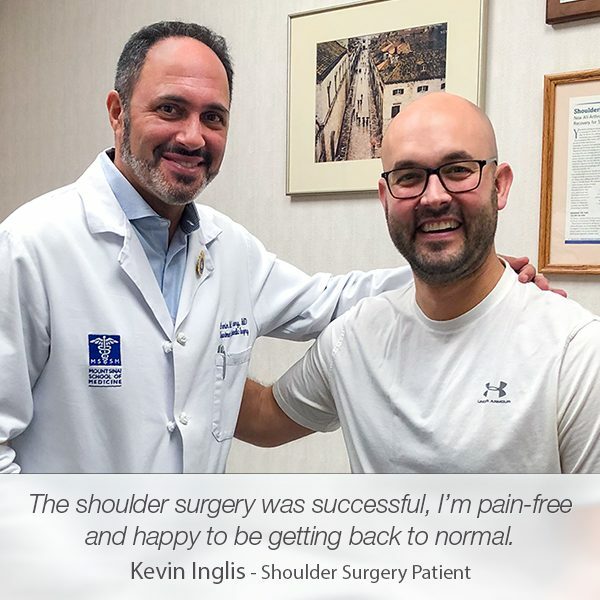 Happy that 6 months after the labral tear surgery his shoulder is almost back to normal, Jonathan was more than glad to share his experience with the world. My name is Jonathan Guzman and I’m a patient of Dr. Armin Tehrany. I wanted to share my story of how my situation went with the doctor. I had a full labral tear on my right shoulder. I saw Dr. Tehrany early October, and I actually had seen another doctor previously, who misdiagnosed me. He sad that I had a different injury than the one that actually occurred. I was put through three months of therapy and I actually got worse. I was sitting in my office one day and I came across Dr. Tehrany’s number and his information. He had great reviews, he seemed like a very capable doctor to handle an issue like this. I spoke to Dr. Tehrany and it turned out that I actually needed surgery to go through and continue playing my sports career, I’m a basketball player. 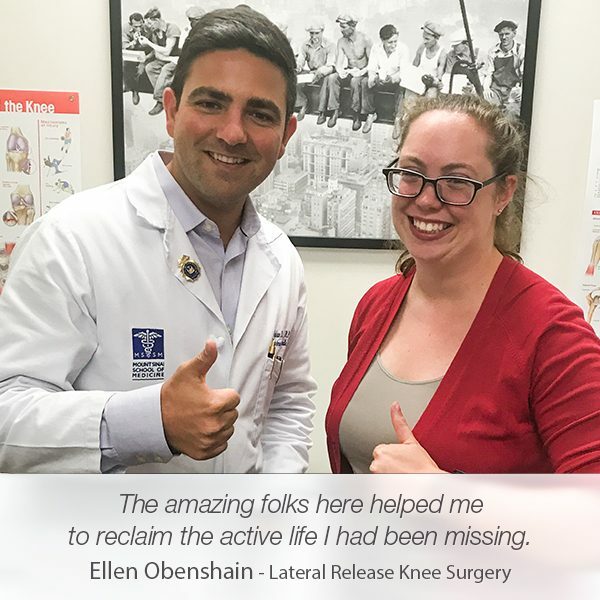 It turned out that I had a full labral tear and I required a major surgery, as well as numerous months of therapy to get myself back to the position where I was previously, before the injury. 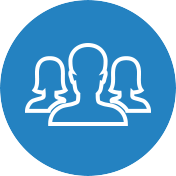 Our devotion to patients’ health and well-being guides our efforts in providing the utmost orthopedic care. 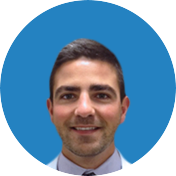 During his stay at Manhattan Orthopedic Care, Jonathan experienced what true and professional care really is. We made sure that he was comfortable during the whole process and ensured him that regardless of the complexity of his injury and surgery, everything was going to be just fine. Dr. Tehrany was fabulous. He insured me that everything is going to be OK. He basically demonstrated what kind of surgery was going to be done, how he was going to do it. Everything that I needed to know, from A to Z, how I was going to come back from this injury and get back with confidence to the level I was before the injury happened. The surgery was great. It was an hour and half – two hours surgery. I remember seeing Dr. Tehrany in the recovery room when I was finished with the surgery. He told me everything went well, explained to me the procedure again, some of the things he encountered when he went in surgically for my shoulder, and ensured me that everything went well and gave me a list of things that I needed to do post-surgery to get back to that level. He laid everything out very clear. 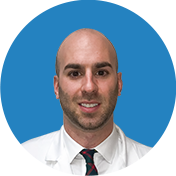 I felt very comfortable working with Dr. Tehrany and his staff – they are wonderful as well. I did six months of therapy, Dr. Tehrany gave me a script, which I provided with my physical therapist. I did three days a week for the first three months, and two days a week for the next three months. We did a lot of hard work and dedication, and really making this my number one priority to getting back to where I needed to be. I did great. Like I already said, the surgery was the part of it and it was done so well, that the physical therapy was just an afterthought. I worked really hard with the therapy. Within six months I was able to get myself back to where I feel I needed to be. 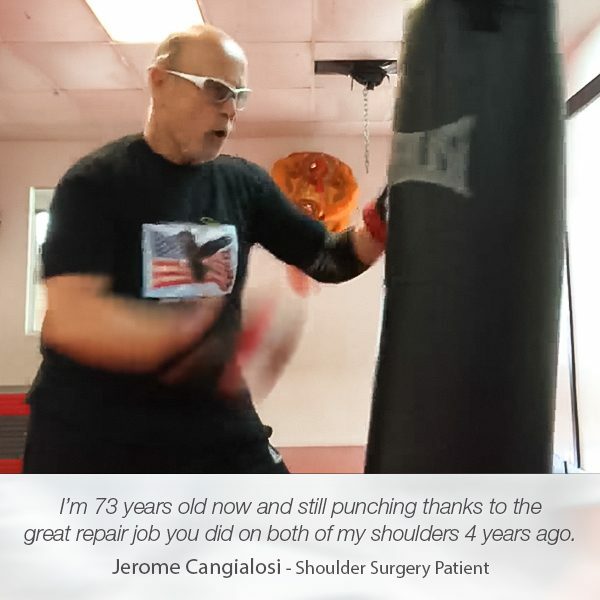 Even though Jonathan is not back to his full shoulder mobility and shoulder functionality , he is happy that he is not feeling any pain, there is no clicking, popping or grinding sensations, and most importantly, the shoulder is stable once again. I still have some more time to recover, I still have maybe another two or three months down the road where I’ll get back to, let’s say 100%. But, it’s night and day from before I had the surgery to after the surgery and the therapy and where I’m right now. 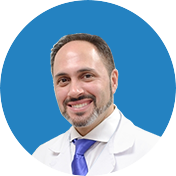 I just want to say thank you to Dr. Tehrany, to his staff – they did phenomenal. I should be thankful and I recommend anyone to see Dr. Tehrany. He is a great doctor.